It’s fair to say that most people aren’t as clued up as they need to be when they buy a car, and first-time buyers are especially vulnerable. Today I want to focus not on choosing the right car for you, but what happens after that. Do you know what a pre-report is? 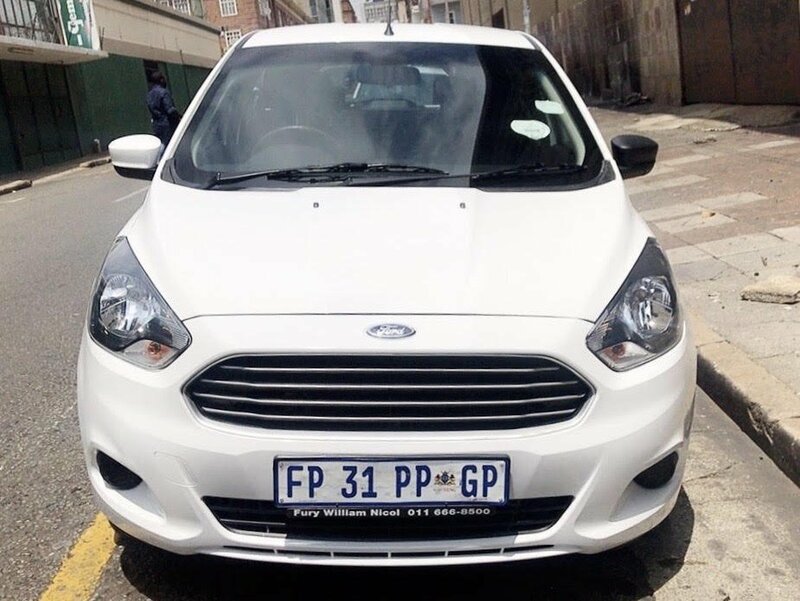 Journalist Tanya Pampalone certainly had no idea when she bought a new BMW from a Sandton dealership in 2014, in fact not until very recently did she even hear the term. But it popped up when she started asking questions about why the car’s warranty expired five months earlier than it should have. Much digging later, she discovered the motor plan - BMW’s warranty - has been reported, or activated five months before she bought the car as new. Here’s what happens - sometimes cars are registered without being sold (for example, when a customer cancels a deal at the last minute, which means the motor plan is activated, but the car is not driven off the showroom floor). Another customer then buys the car off the new car showroom floor, doesn’t check the warranty details and finds out much later that the warranty on their “pre-report” car is a few months short. So here’s the advice - even when you’re buying a “brand new” car, always ask to see the Warranty Registration Certificate, to make sure it starts on the day you drive the car off the showroom floor. So it's registered as new, but how long ago was it made? And here’s something else you must look out for when buying a “new” car. I’m working on two cases at the moment where the new car was manufactured two or three years earlier. A woman bought an SUV in June last year, and later found it was actually manufactured and shipped to SA in 2015 and introduced to the eNatis system by the OEM - Original Equipment Manufacturer - Jeep - which then sold it to the dealer a few weeks before the woman bought it. There’s no problem, the manufacturer told her, because the vehicle warranty was only registered when she bought the vehicle. So how do you find out when a car was manufactured? The car’s VIN number reveals this. It has 17 characters, and the 10th one tells you the year of manufacture. So A is 2010, B 2011, C 2012, etc. Always check. If you’re buying a car now, in January, clearly you can’t expect the year of manufacture to be 2019, but you ideally you wouldn’t want it to be 2017 or 2016, even though it would be registered as a 2019 model and carry the full manufacturer’s warranty. That’s because at best those cars have sat, never driven, under shade cloth all that time, and that’s never a good thing for a car. A couple of years ago, I investigated a case involving a little Chery QQ3, sold as new to a woman who discovered a few weeks later that the engine was full of rust and perished rubber. And until I got involved, the only thing the dealer principal offered as compensation was an engine valet! In the end he took the new little rust bucket back and refunded her in full. This is one of the questions most asked by would-by buyers about a second-hand car. Blindly trusting a commission-earning salesman - a silly thing to do; if you don’t do your own checks, you’re very likely to get “caught” in some way. But here’s the thing - no matter how proactive you are, you have no means of finding out for sure whether a car has been in an accident; not since March 2015 when insurance claims information provider Audatex stopped making accident claim information available to credit bureau Transunion, which also has an Auto Information Solutions division. So while Transunion’s FirstCheck app is a wonderful source of information with respect to a car’s estimated market value and whether or not it’s been stolen and or still being financed, it cannot answer that crucial “has the car been in an accident?” question for you. It’s a major lapse because cars which have been in major accidents and “written off” by insurers are then sold by those insurers to auction houses as Code 2s - an “ordinary" second hand car - where they are bought for a song, fixed up, and then make their way onto showroom floors where they are bought by people who are completely oblivious of their problematic history. 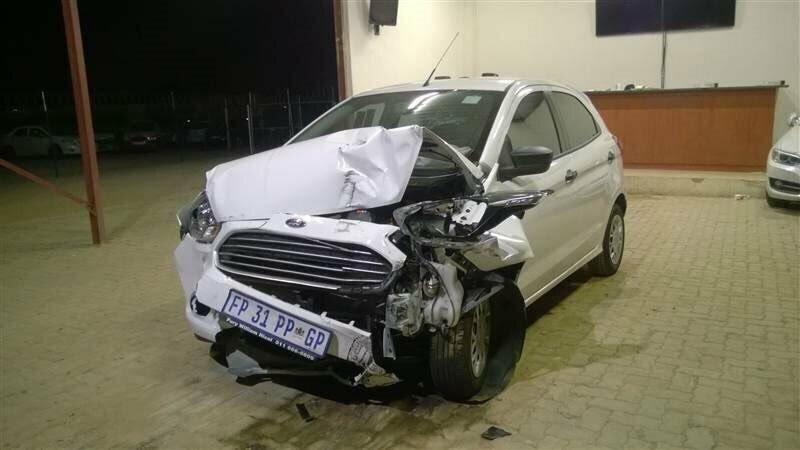 Industry insiders have told me that many a Code 3 accident wreck - with severe structural damage and therefore legally unfit for use as a motor vehicle - has been sold by insurance companies as a Code 2. So - what can you do to avoid buying one of those? - Get the car checked to by a third party inspection centre such as Dekra and specifically ask them to look for signs of major accident damage. - Test drive the car in a variety of conditions from low to high speeds. Be on the lookout for poor handling, alignment, and obvious defects like body panels and bumpers which are not symmetrical or aligned, strange engine pitch or noise, rattles or other noises. - If an engine bay side wall is clean, and the opposite side wall is dirty, be suspicious. Bumper alignment, crooked bumpers indicate trauma. - Look for messy wiring, non-matching panels, and oil on the engine cover - all bad signs. - Source the car's catalogue online or at a dealership to see if the paint colour aligns with the manufacturer's colour options. - Some cars such BMWs store data of the car in the key's memory: request the key be sent to a BMW dealership for a report. Before you buy a used car from a dealer, it’s a good idea to check that the price is market related. You can do that by spending a nominal amount on Transunion’s FirstCheck service, which will provide you with current average selling prices. Once the purchase and/or trade-in price has been agreed, don’t sit back and leave it to the F&I (finance and insurance) manager in a dealership to “sort out” the paperwork for you. They have their own arrangements with certain banks and you may not be given the lowest interest rate. So ask to see ALL the bank offers and if the F&I is cagey about that, do your own phoning around. This has a huge bearing on the total cost of the car. I’m sorry to have to advise that if you’re trading in a car, check that the trade-in amount you agreed on has been accurately reflected on the contract. Also check the model year. I’ve had so many complaints from people who claim that what they were led to believe by a salesman is not what appears on the contract and official documentation, and they didn’t think to check at the time. Later, there is no way of proving they were misled. The F&I person will do their best to up-sell you a host of add-ons to pad the deal, on both new and used cars - products such as paint protection, fabric protection, rust-proofing, dent-and-scratch policy, maintenance plan. If you do really want one or more of those, you’ll probably be able to get a better deal on them yourself. Why must you pay extra for the car to be on the road? Look for the big add-on, the “delivery/dealership/on the road” fee which is several thousand Rand. Paying extra for number plates, a tank of fuel, and for licensing and registration - plus having the dealership deal with the schlep of getting it done - is perfectly justifiable, but anything over that is not; it’s just the industry’s way of sneakily bumping up the purchase price of the vehicle. So refuse to pay it, or at least negotiate a substantial reduction. Try to avoid the increasingly common balloon payment deal, which carves out about 30% of the cost of the car, plus all the extras and interest, divides the rest by 72 months, for example, and then leaves you to pay that lump sum at the end of it. The upside is that you get to drive a car you can’t really afford. And that’s also the downside. 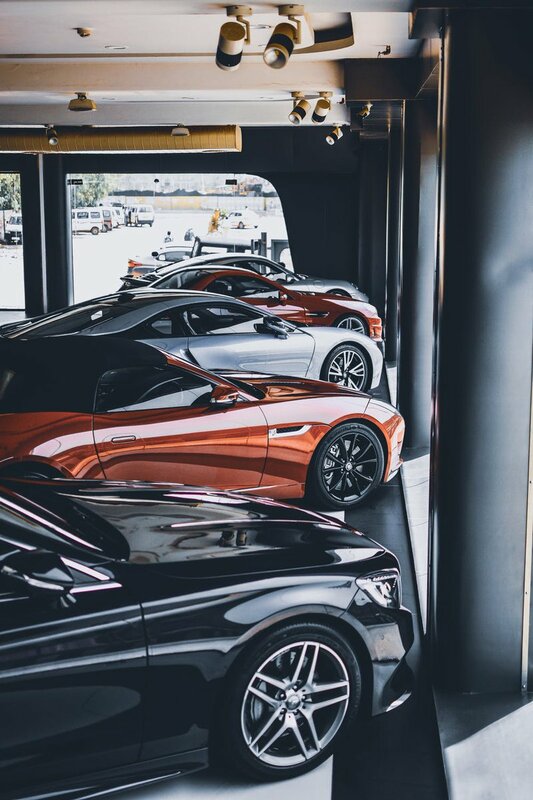 A lot can happen in five or six years - you could not longer qualify for credit when your balloon payment is due, in which case you'd be forced to sell or trade-in the car to pay that big residual amount still owing.